2019 is the Year of the Pig! 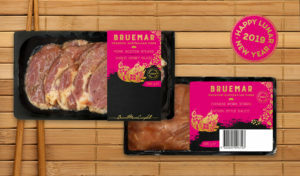 To celebrate the Year of the pig we have launched two new Bruemar products to Woolworths. Our Pork Scotch Steaks with a Honey and Garlic Glaze and our Chinese Pork Strips in a Hoisin Style Sauce are available across Australia for a limited time only. These products make it so easy to explore flavours of Asia for the Chinese New Year. On top of launching two new products, Bruemar is running a competition across Bruemarpork Social media channels. 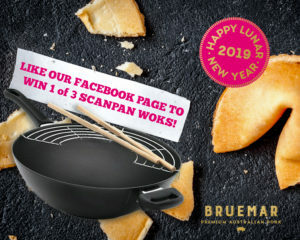 All you have to do to enter is like our Facebook Page or follow us on Instagram for the chance to win 1 of 3 Scanpan Woks! The competition starts on the 29. January and ends on the 5. February, 11:59pm. Terms and Conditions apply. GOOD LUCK AND HAPPY LUNAR NEW YEAR 2019!